Over the years preferences in garden style and colors change. 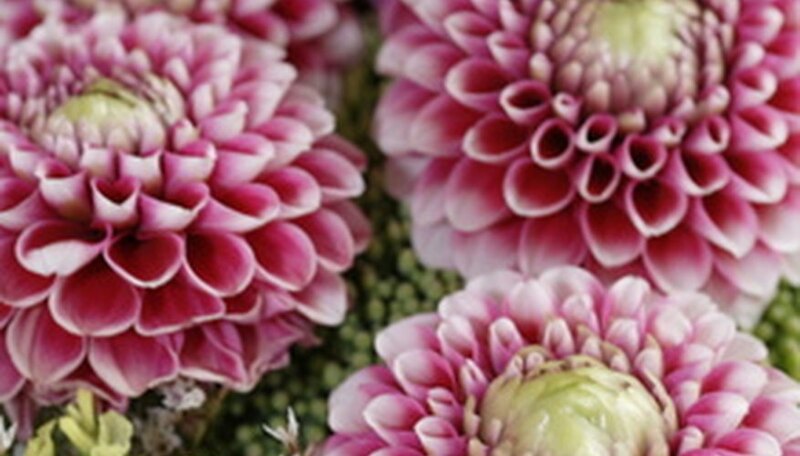 In the first decades of the 2000s, a trend has been toward darker flowers, and burgundy tops the list . Whatever your landscape plan or occasion calls for, from cut flowers to vines and shrubs, there is sure to be a burgundy colored flower just right for the purpose. Iris "War Chief" is an excellent deep burgundy flower for damp areas that looks striking near ponds or stream banks. The tall amaranth "Oeschberg" (Amaranthus cruentus) is a dramatic plant with huge branched eggplant-colored flower spikes and maroon/green leaves. It works well in a sunny spot, planted with "Arabian Night," a deep burgundy dahlia (Dahlia spp.) introduced in the early 1950s. Hollyhock "Nigra" (Alcea rosea) is another bloomer for cottage gardens. It is such a deep burgundy it appears almost black. Callibracchoa "Superbells Plum" and geranium "Imperial" (Pelargonium hybrid) are other burgundy choices for the landscape. For containers, try the fuschia "Chillerton Beauty," with its wine colored stamens and velvety purple corolla, nasturtium "Black Velvet" (Tropaeolum minus), or the trailing morning glory vine (Ipomea purpurea) ‘"Grandpa Ott’s"--an heirloom variety of deep wine-purple with a bright rose “star” and pink throat. Poppies (Papaver spp.) are especially deer resistant as their milky sap is poisonous. They are beautiful as well—particularly the new “Black Swan” (P. laciniatum) which looks very much like a burgundy fireworks display. Pair it with the fringed poppy mix, ‘"Heirloom" (P. somniferum) which comes in a variety of black raspberry, claret, deep lavender and cherry hues for a poppy extravaganza. Delphiniums are another good choice where deer are a problem. 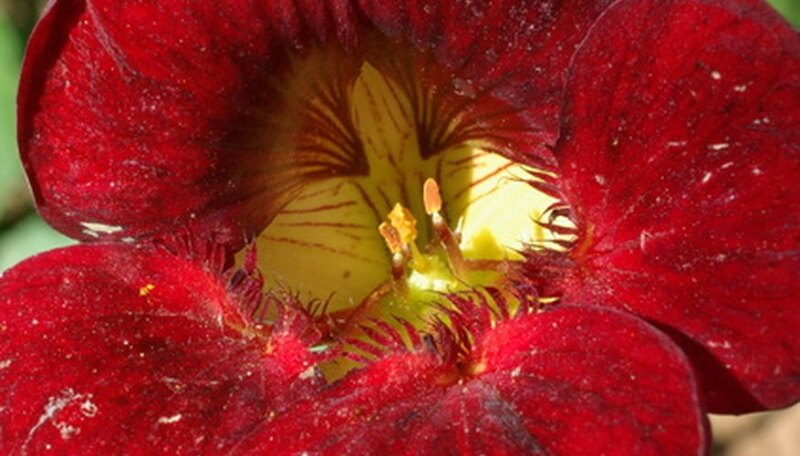 The deep red wine colored "Purple Passion" (D. elatum) is a perennial with tall flower spikes. The University of Illinois Extension mentions lilac, astilbe and spirea among deer resistant plants. Try lilac "Charles Jolly" (Syringa vulgaris), astilbe "Purpurkerzes" (Astilbe chinensis) or spirea "Goldflame" (Spiraea x bumalda) for the deepest red violet blooms. For weddings, the calla lily is becoming nearly as common as the rose for bouquets and arrangements. 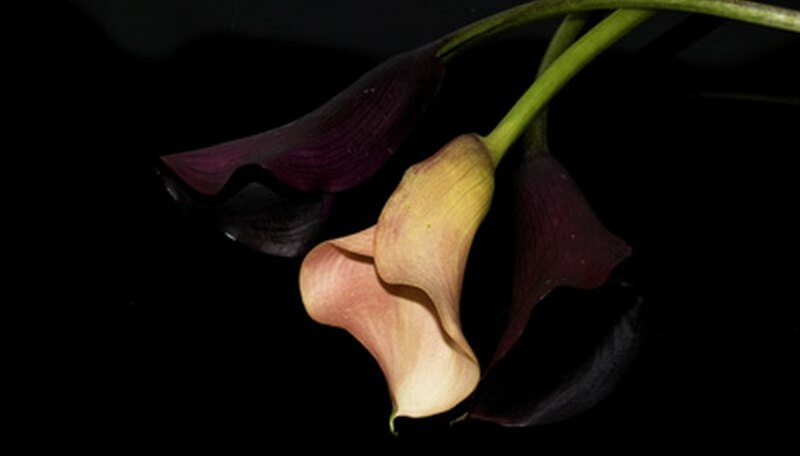 The Schwarz mini calla lily "Burgundy Black" is a good choice, as are the "Black Bacarra" and "Black Magic" roses. 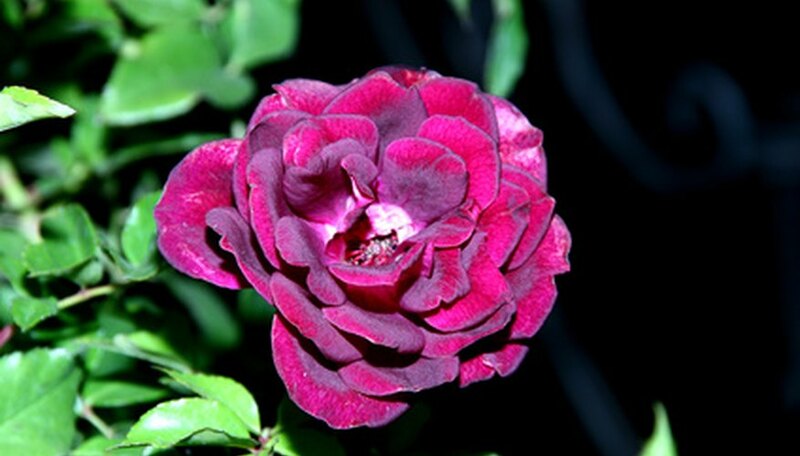 For a mini rose, try "Black Jade," a deep burgundy that is very close to black. For solemn occasions, "Espresso," a smoldering deep burgundy gladiolas (Gladiolus callianthus) is appropriate. 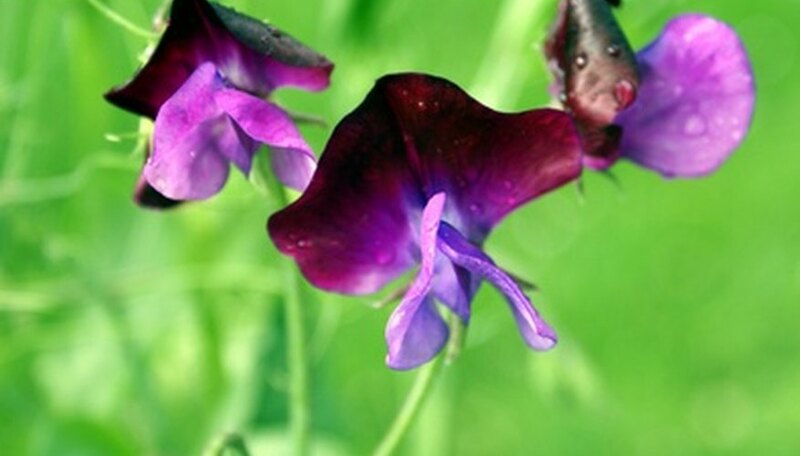 An heirloom sweet pea (Lathyrus odorata) sporting a true burgundy color--and with spicy, fragrant flowers--is "Black Knight.". Pair it with heliotrope (Heliotropium arborescens) "Fragrant Delight," whose clusters of small light burgundy flowers with white throats are heavily vanilla scented. The deep wine purple Spanish lavender (Lavendula stoechas pedunculata) "Purple Bee" has a lavender scent that will blend well with the old-fashioned fragrance of the fringed garden pink (Dianthus sp.) "Rainbow Loveliness" or the honey scented Scabiosa (S. atropurpurea) "Black Knight" (also called "Blackamoor’s Beauty "or "Mournful Widow").